Any gamer in their thirties worth their weight will know every iconic facet of the Dragon Quest (formerly Dragon Warrior) series. Since its first appearance in the NES days, Dragon Quest has been the iconic franchise that set the bar for what an RPG should be with multiple characters, customizable parties, and the most iconic sound effects and enemy monsters that still carry throughout every game in the franchise to this very day. We absolutely cannot wait for Dragon Quest XI to finally make its North American appearance, so check out our video below to see why. 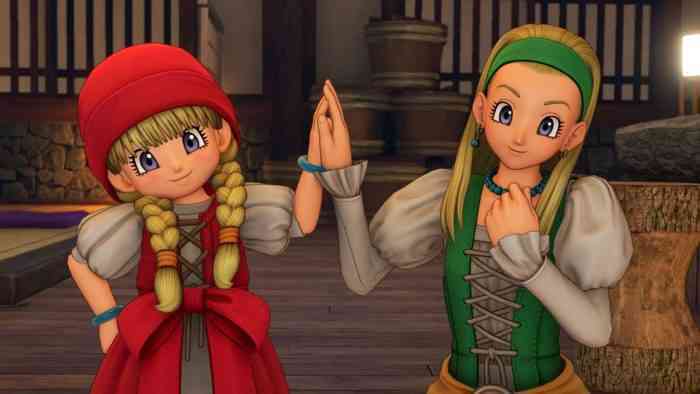 Dragon Quest XI: Echoes of an Elusive Age is the latest entry in the long-running Dragon Quest series. Players are set to take on the role of a young man about to take part in his villages coming of age ceremony only to learn he is the reincarnation of a legendary hero. Hunted by the king for believing he is the returning spirit of evil, players will team with an unlikely band of adventurers to clear his name. The game is set to feature a number of new innovations to the series such as freely moving around the battlefield but will retain the classic charm of the Dragon Quest series with English voice acting, 8 bit sound effects, and iconic series monsters. Are you as excited for the return of the series as we are? Have you been a long-standing fan of the franchise? Let us know on Facebook, Twitter, or the Comments section below. Dragon Quest XI is set for release on September 4, and will be available on PC and PlayStation 4. For more information, check out the game’s official website.